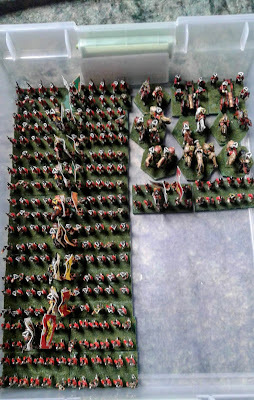 Russian 1st Line Complete.... the penultimate Zorndorf update. The last of the major muscle movements for this project are finally complete. 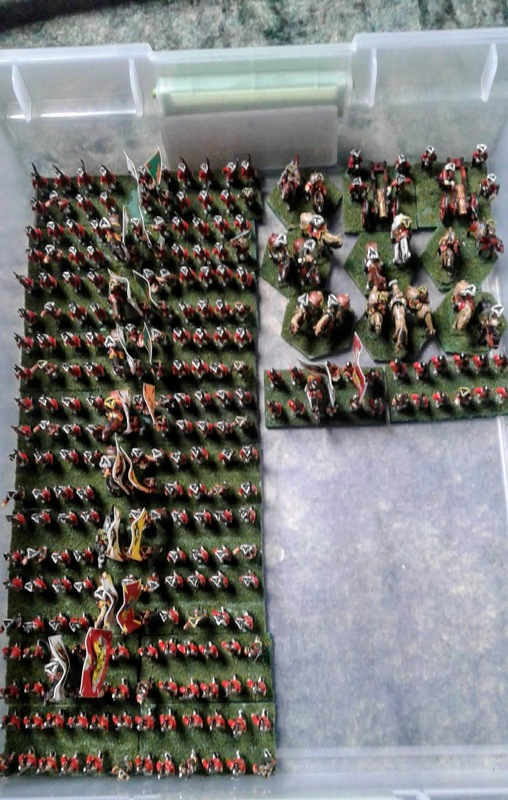 The remaining four infantry regiments for Saltykov's command cross from the painting table to the storage box. 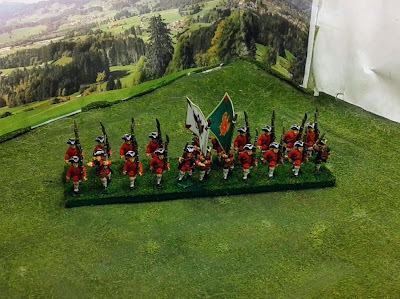 All four regiments were done using Blue Moon's Russian Musketeers in Summer Uniform and command figs. The mounted colonels are all from Eureka's SYW range. 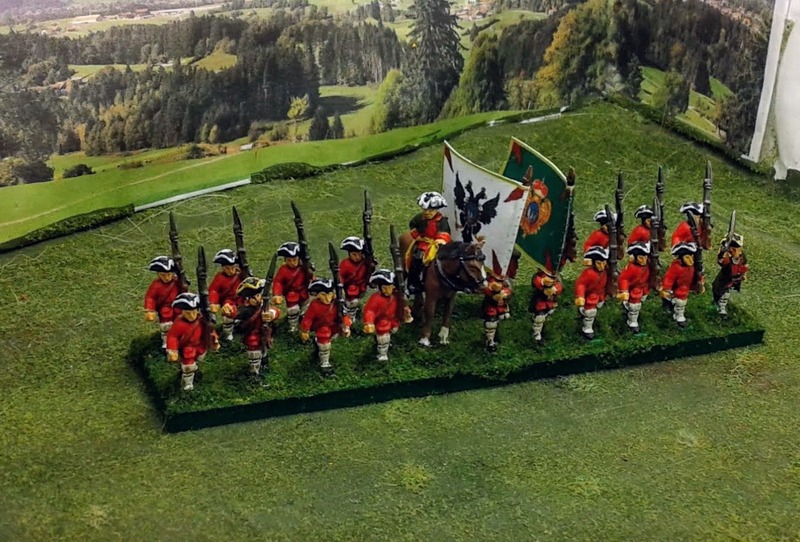 The banners were all taken from Kronoskaf's entries on the individual regiments. 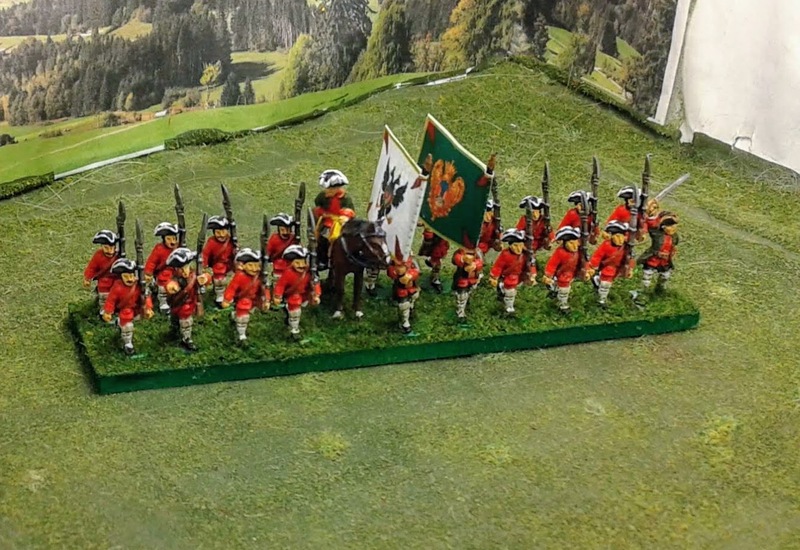 The eagle eyed will note that one regiment is missing a Colonel. I ran out and am waiting the last re-supply to finish the project entirely. All that now remains is 10 musketeers for the 5th Observation Corps Infantry Regiment and six command figures for the Observation Corps Grenadiers. That said, we could readily execute the scenario from what is on hand, so it appears we are go for a re-fight next month. I just have to get all these figures up to Jon without mishap. Nice work - always feels good to see a project come together. Thanks. The last colonel doth vex me, however. w00t! Give me a week and I'll have them knocked out! Excellent work and great accomplishment to come in on time. I had a mild bit of panic this weekend looking over the Prussian OB and reconciling with my figure database. Not as many grenadier battalions as needed were listed. I thought I had painted more than was shown so I made a physical inspection. Yep. 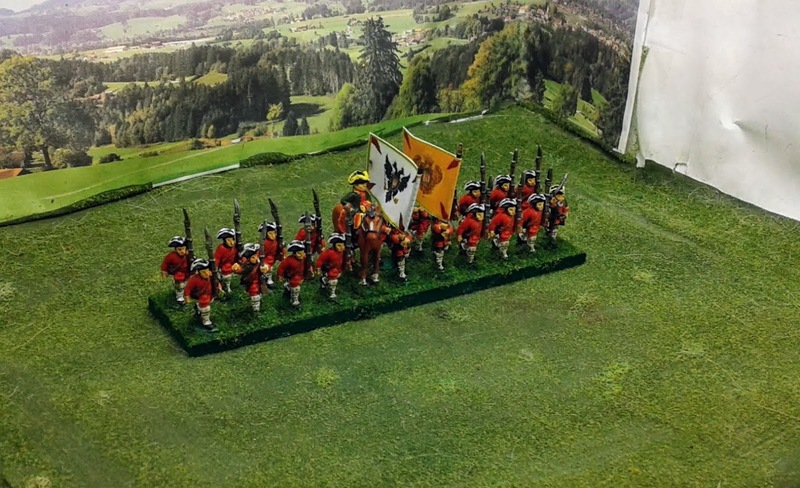 Lots of Prussian grenadier stands. In my early DB entries, grenadiers were rolled into the musketeer/fusilier entries. I discovered this blog is my best index for my own collection. 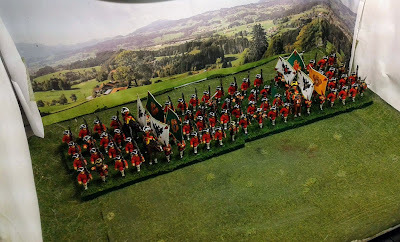 A truly fine looking Division. The finish line is in sight... then on to the game! The figures have actually been delivered to the game venue. They next time you see the collection will be Jon's game setup.